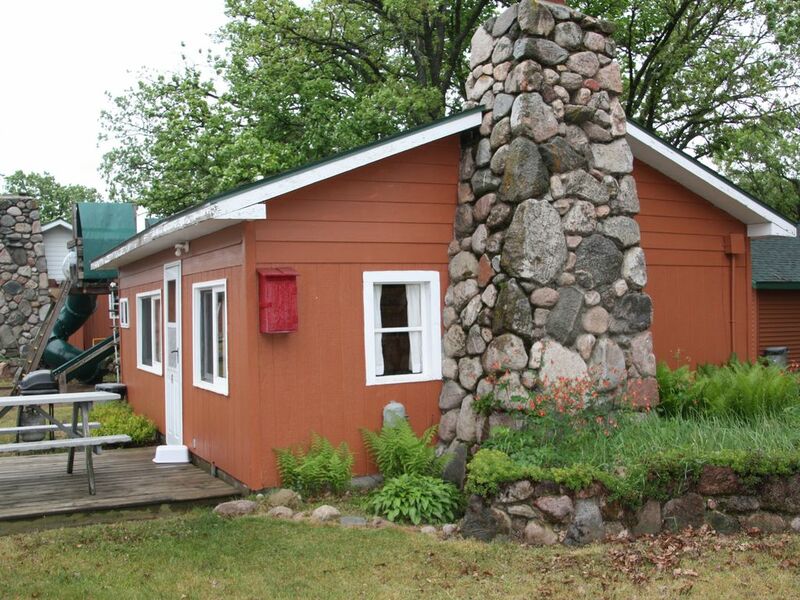 This is a cute 1-bedroom cabin with knotty pine interior and a beautiful stone fireplace. It has a full kitchen and full bath including a jacuzzi tub. The cabin features a full kitchen including microwave. It is fully furnished including bedding, but please bring your own towels. Has a barbecue grill, picnic table and a color cable TV. Full bath with a jacuzzi tub shower. This Cabin is 1 of 14 cabins on The Lodge on otter Tail Lake. Great Sandy Beach, shallow entry and it stays shallow out to 300' from shore. Free for guests to use, all water toys. Small deck with picnic table. I was excited to stay at the cabin on the lake for a wedding that I was there for however it felt like the place hadn't been inhabited for a while. We walked in and it was colder inside the cabin than it was outside. The bedroom had hardly any blankets but a threadbare quilt and the window was cracked open and was letting in cold air the entire time. We were so cold in there we actually stayed on the futon in the living room and closed off the bedroom door to keep the warm air from the fireplace in where we were sleeping. The kitchen was extremely tiny and there wasn't really any room to cook or cut anything so the food we brought was for nothing as we ended up eating out anyway. I'm sure it's nicer in the summer but we were miserable for 3 days staying there. The owners were friendly and responsive about us getting there but I felt like I was camping outside. I would not recommend this place for anyone. We are sorry to hear the cabin did not meet your expectations. It definitely is a better fit for Summer, but it is fully insulated and we have had guests stay in this cabin every month of the year. In the future, please let your VRBO hosts know during your stay if you have any issues. Being on property, we could have rectified your concerns quickly to improve your stay. We try to turn up the heat in each cabin prior to arrival. We apologize that you did not experience this. We do have extra blankets in the bedroom closet and in the dresser in the living room of that cabin. We also have a portable heaters and additional blankets that could have been made available to you, had you informed us you were cool. The guest who were in the cabin just 3 days before you commented on how nice, warm and cozy the cabin was. We realize each guest has different threshold of what comfortable is. We wish you would have given us an opportunity to make you more comfortable. The kitchen in this cabin is small. it does work for many weekly guests to provide their meals. We are sure it was smaller than you expected. We will be adding pictures to our listing to try to right size any future guests expectations. Thanks letting us know your concerns. Even if your comments can't improve the days you spent with us, it allows us to continue to improve for future guests. What a great place to relax. All cabins are close to or on lake shore. The owners are so laid back and relaxed, it makes your stay even more enjoyable. Cabins are pretty old but all remodeled on the inside. The layout of the property gives a look and a feel of a small community. You have free access to kayaks and other water fun equipment including pontoon and boat rentals. Will definitely try to come back next year. Thank you for a great three days. Clean, pleasant, family oriented resort with helpful owners and many boats available for rent. Beautiful lake, great for swimming boating and fishing, with a dark star filled sky at night. Only minor negative: on the last day of our week-long stay loud kids started playing on the playground equipment just feet from the cabin awfully early. I liked our cabin. I liked that there were kayaks, and paddle boats to use at our leisure. I do wish there were linens for the pullout couch.